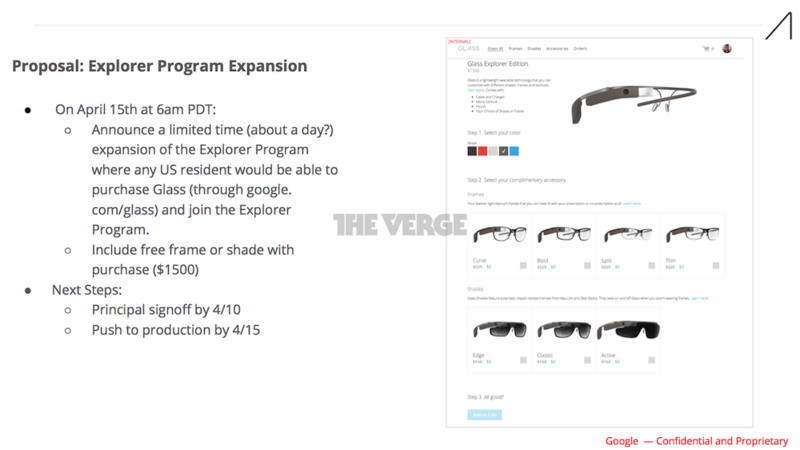 According to The Verge, who got their hands on a leaked document from Google, the Mountain View-based company may look to open up Google Glass sales to anyone interested in buying a pair, for just a single day. As stated in the leaked internal document, an announcement may be made on April 15, giving information as to which day it will be that people can purchase Glass and join the Explorer program. On that day, anyone willing to shell out $1500 for a pair of the most disruptive spectacles to ever be created, will also be gifted a free frame of their choosing or a free pair of shades to use with Glass. Shades normally retail at $150 and the frames are an extra $225. Wow, thanks, Google. We speculate that this is Google’s last move to get as many people as possible developing and using Glass, before a major public launch takes place. While we don’t necessarily recommend anyone buying it for $1500, if you have been just dying to get your hands on Glass, this is your chance. Who here is copping a pair?